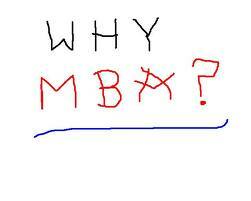 Has the MBA boom gone bust? The Master of Business Administration degree is slowly losing its glitter in Karnataka with 50% of the government seats remaining vacant this year. Karnataka has 236 colleges with an intake of 14,148 for MBA. Of these, 8,007 seats were allotted through the Post-Graduate Common Entrance Test conducted by the Karnataka Examination Authority. Of them, only 7,600 students have reported to colleges. Ditto with the management-quota seats. Of the 13,000-plus seats available through the Karnataka Management Admission Test, only 9,000 were filled. Hari Krishna Maram, member of the governing council body of All India Management Association, told TOI: "The interest in business degrees is fading for the past three years. It's worse this year. Placements are less attractive. In most industries, placements aren't taking place. Students are reluctant to invest up to Rs 5 lakh for an MBA degree after graduation. Many are taking up jobs and opting for part-time MBA courses, instead of a full-time programme. With centralized exams for management courses coming up, the numbers might rise in the future."